Sadly, period cramps are a part of life for most women. They might not occur with every period, and can differ in severity each time, but almost all women will have some experience of pain that can be associated with their period. Cramping is most common in the few days preceding, and throughout the days with bleeding, however; it is possible to experience the condition at other times. Find out all about period cramping, when, and why it occurs. Those who suffer with period cramps tend to find that the pain occurs two or three days before bleeding begins, and throughout the four to six days of the period. The reason for this is the fact that the muscular walls of the uterus contract at this time, to stimulate shedding of the uterus lining. When the relevant muscles contract, this blocks oxygen from accessing the womb - a process which triggers the release of chemical in the womb and then causes the sensation of pain. 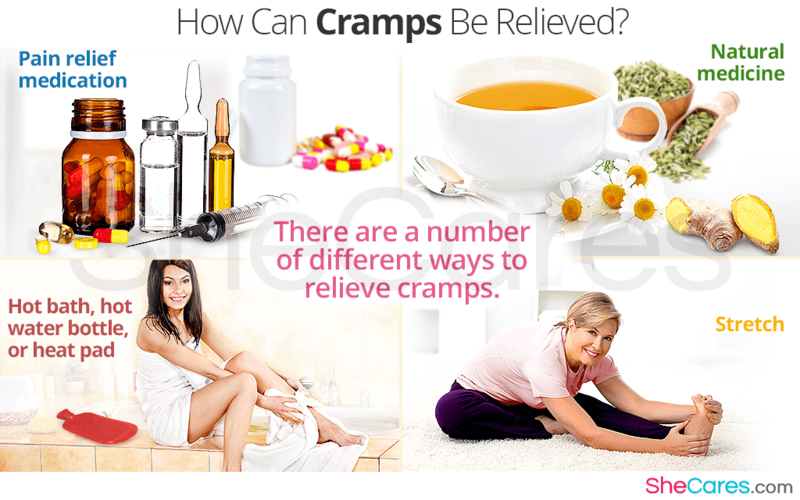 This, common type of period cramping is known as primary dysmenorrhea. It is also possible for some women to experience cramps after their period; however, this is usually caused by a factor unrelated to the menstrual cycle itself. When this is the case, the condition is often referred to as secondary dysmenorrhea, and is known to mostly affect women between the ages of 30 - 45. How Can Cramps Be Relieved? Nonsteroidal anti-inflammatory medicines can help with pain. If the muscle cramps are severe, your health care provider can prescribe other medicines. Chamomile tea, fennel seeds, and ginger contain anti-inflammatory and antispasmodic compounds that can reduce the muscle contractions and swelling associated with menstrual cycle. Hopefully, simple at-home treatment such as these will be adequate for the proper relief of period; however, for more severe pain, it might be necessary to visit a doctor for advice and a potential prescription.